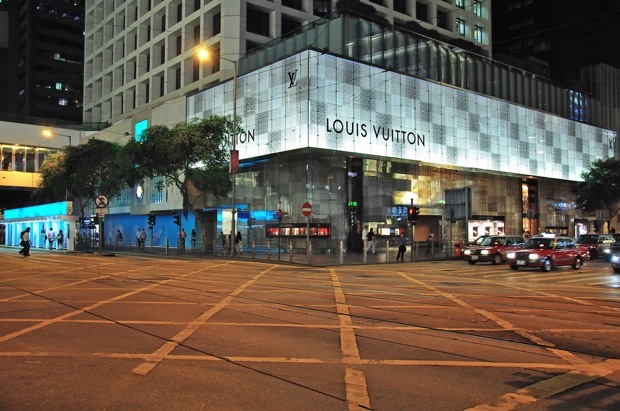 By the way, I have started on my job as an editorial fellow at Jing Daily, a publication about China’s luxury business. While not exactly at the top of the list of things I dreamed I’d be writing about, it is a start for my journalism career, I suppose. It seems that I often write about very Asian-related thing; on this blog a lot about Japan, and now at work, exclusively about China. At one of my previous internships, it was also at Asia Society, which I enjoyed enough, writing about Asian current affairs to an American public. For a person that took such pains to leave Asia, it seems it has come full circle to bite me in the back by having me write so much about Asian issues. As much as I don’t wish to sell myself as the “That Asian guy writing about Asian news,” that’s what I seem to have been doing lately. Is that necessarily a bad thing? I’m not sure. I mean, is it a bad thing that I have access to Asian news and understanding, having actually hailed from thence? Maybe one day I’ll get to graduate from writing about Asian news. We’ve seen way too many beautiful guys who look like girls. Hell, some of them even look prettier than real girls. We know some of you are starting to get bored with looking at “traps” all the time, so here, the tables are turned this time! This handsome face belongs to a girl! It’s still some time before April Fool’s Day so you can be assured that we’re not kidding you! Want to sound like you know what’re you’re talking about, when prompted for opinions on the outlook for 2014 when at a dinner party? The New Yorker provides a cheat-sheet on world events that will matter in 2014 based on the developments of the previous year, so that one can make impressive-sounding informed predictions for the year. 2. Will the economy accelerate? Yes. Barring some great cataclysm, this should be the year when G.D.P. growth finally rises above three per cent—a rate of expansion it hasn’t seen since 2005. According to the latest figures, all the major sectors of the economy are picking up, withmanufacturing and construction leading the way. Job creation has increased, and economic-policy decisions are helping. The Fed remains committed to keeping interest rates at record lows, and the recent budget deal between Democrats and Republicans means that fiscal policy will be a bit less restrictive than it was last year, when it reduced growth by about one and half percentage points. 6. Will the Iranians agree on a permanent nuclear deal? Only Ayatollah Khamenei and his fellow mullahs know the answer. So far, they have supported President Rouhani’s outreach to the West, which resulted in an interim agreement that suspended nuclear enrichment in return for limited relief from sanctions. But talks on a broader agreement have already run into difficulties,and reaching a deal would necessarily involve the Iranians making a series of concessions that they have hitherto stoutly rejected. “It remains uncertain if Iran recognizes the extent to which it will have to roll back its infrastructure to reach a deal,” Robert Einhorn, a non-proliferation expert at the Brookings Institution, told the Wall Street Journal. 8. Will John Kerry produce a peace agreement between Israel and the Palestinians?No. With its security policies working, and Palestinian terror attacks greatly reduced, the Israeli government of Benjamin Netanyahu sees no need to make the sort of compromises that a peace treaty would entail. Earlier this week, as Kerry arrived in Tel Aviv to try and revive the peace process, Ze’ev Elkin, Israel’s deputy foreign minister, said, “The Jordan Valley must be under Israeli sovereignty forever.” He added that “the 1967 borders are Auschwitz borders.” A great many Palestinians, meanwhile, see the 1967 borders as the basis for a negotiated solution. 12. Will Brazil win the World Cup? No. With an experienced coach in Luiz Felipe Scolari,and gifted young stars like Neymar (Barcelona), Oscar (Chelsea), and Bernard (Shakhtar Donetsk), Brazil has the talent to match anybody. But in such a soccer-made nation, and with a relatively inexperienced team, the pressure of winning at home will prove too much. It’s an interesting day when the president of China eating lunch sparks off a wave of conspiracy theories. Chinese President Xi Jinping got in the queue with the lunch crowd and bought six steamed buns filled with pork and spring onions, a bowl of stir-fried liver, and a plate of vegetables, for a cost of 21 yuan. 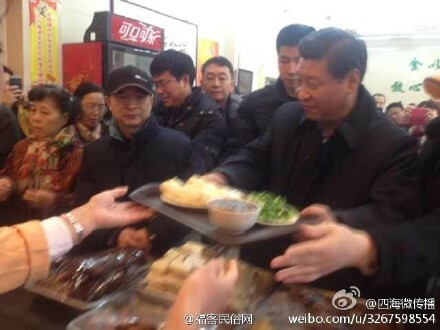 On Weibo, some were marvelling at how the President himself was getting in the line, paid for the food himself, carried the trays himself, and obtained the food himself. Others wondered if his public obtaining of food had any symbolic meaning. While photos of the presidential lunch fill pages of Weibo, China’s Twitter-like social media site, users are trying to “crack the code” of the three simple food items for signals regarding the president’s anti-corruption campaign. According to one theory, the name of the steamed bun shop, “Qingfeng,” which means “celebrating the harvest” but sounds like the Chinese words for “clear wind” and evokes an honest government official who never takes bribes, suggests the qualities Mr. Xi wants all government officials to uphold as a standard. Another says the stir-fried pig liver means that any government officials who demonstrate pig-like greed will be “fried,” which can mean to be fired in Chinese. 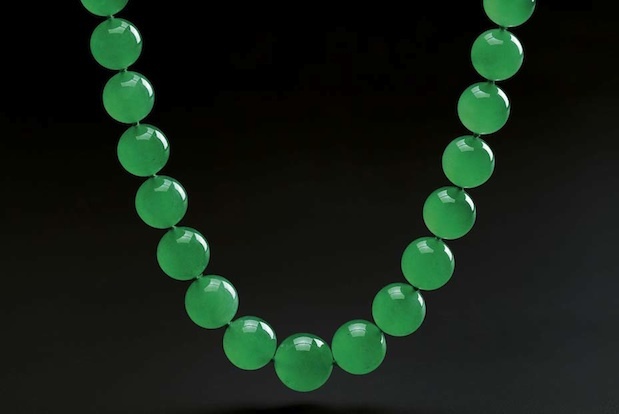 The green vegetables Mr. Xi ordered, called “jiecai,” sound like the Chinese phrase “beware of wealth” — a possible warning to all officials to resist the temptation of financial gain. The translucent filling of fatty pork and spring onion signifies transparency. And it is no coincidence, says one theory, that the meal cost 21 renminbi, the sum of three times seven. This is because the Chinese saying “It doesn’t matter if three times seven is 21” means that whatever is going to happen is going to happen. “President Xi is saying government officials must stay clean and transparent, otherwise they will all get fired!” concludes this theory. “If you are a corrupt official, the president will finish you like he did his lunch!” said another Weibo user. So basically, the essence of Chinese conspiracy theories lie in… puns? Wow. Which is not that surprising, given that the language is full of homophones. Previously, China was last seen refusing to renew the visas and press passes of nearly two dozen foreign journalists from American news organisations, leaving them uncertain as to whether they can continue reporting China’s issues from the ground. This has prompted chastisement from Vice President Mr. Biden himself. What is the essence of the Chinese Dream? What did Marx and Engels ask of newspaper reporters? How do Chinese and Western views on journalism differ? Those are some of the questions Chinese journalists can expect to be quizzed on when they renew their press cards in early 2014. This is the first time that all Chinese reporters have been required to take a test as part of the annual press card renewal process. In theory, journalists need the press card to work legally in China, although some commercial media companies employ reporters without the certification. Those who fail will be permitted to take it again. The goal of the test is to “educate and lead news gatherers to uphold the Marxist journalistic ideals more consciously, to better serve the people, socialism, the work of the party and the country,” according to the General Administration of Press, Publication, Radio, Film and Television. Can you also be a journalist in China? Take the test to find out! Answers at the end. 1. What is the essence of “Socialism with Chinese Characteristics”? b. Comfortable standard of living. c. Comfortable standard of living for all. 2. Comrade Xi Jinping has said that the Chinese Dream is essentially the dream of __? c. The Communist Party of China. d. All Chinese people around the world. 3. Comrade Xi Jinping said that, in order to realize the Chinese Dream, we must take the road of __? a. Socialism with Chinese characteristics. d. Opening up and reform. a. The power of the leadership of the Communist Party of China. b. The power of the unity of all ethnicities of the Chinese people. c. The power of the unity of the working class. d. The power of the unity of all Chinese people around the globe. a. Opening up and reform. d. Emancipate and develop social productivity. a. The spirit of the nation with its core in patriotism. b. The spirit of the our time with its core in reform and innovation. c. The spirit of rule of law with its core in democratic politics. d. The spirit of tradition with its core in honesty and honor. a. Insist on principles of the party. b. Insist on being people-oriented. c. Keep on innovating and reforming. d. Strengthen cultivation of talents. 8. “Prime Minister Zhu Rongji looked stern, and pointed out solemnly: ‘Whoever promotes Taiwan independence will not end up well!’ His words rang in our ears and shook our hearts.” What is good about this quote? a. It vividly sums up the speaker’s view. b. It gives the facts in a nutshell. d. It provides a smooth segue. a. The principle of social responsibility. b. The principle of serving the people. c. The principle of journalistic professionalism. d. The principle of freedom of the press. 10. What is the most important difference between our news ethics and that of Western developed countries? a. Our news ethics belong to the theoretical system of socialism ethics; news ethics of Western developed countries belong to the theoretical system of capitalism ethics. b. The most basic principle of our news ethics is wholeheartedly serve the people; the most basic principle of news ethics of Western developed countries is freedom of the press. c. Our news ethics emphasize the people; Western developed countries emphasize the media’s social responsibilities. d. Our news ethics emphasize the principles of the party; Western developed countries emphasize that individuals should be independent of political parties. Read the full article on the Times here. I was researching names that have fallen into disuse, and suddenly the regulation of names came up in the search. I decided to look up how China and Japan regulates what names are permitted for newborns, trying to find out what is or isn’t permitted. However, while there are over 70,000 Chinese characters available to choose from, only 32,232 are supported for computer input. Thus people with characters that fall outside of this 32,232 have names that run into problems when these people try to register for ID. It has been reported for a while that the North Korean government has been manufacturing methamphetamines, also known as ‘crystal meth.’ In fact, due to the fact that they are a government-led effort, extremely high quality meth is produced, and they are highly-sought after overseas, according to defectors. In fact, North Korean diplomats have even been made to peddle these drugs, tasked to sell 20 kg (about 44 pounds) and raise $300,000; money that the country desperately needs to fuel its nuclear programs as well as its ruling elites’ lavish lifestyles. Newsweek reported in 2011, when China, North Korea’s main target of its meth exports, tightened its border security on drugs, North Korea suddenly found itself with a surplus of meth that it couldn’t sell, and thus they started selling it within its own borders. Inside North Korea, observers say, many use meth in place of expensive and hard-to-obtain medicine. “People with chronic disease take it until they’re addicted,” says one worker for a South Korea-based NGO, who requested anonymity in order to avoid jeopardizing his work with defectors. “They take it for things like cancer. This drug is their sole form of medication,” says the NGO worker, who has interviewed hundreds of defectors in the past three years. A recent study in the journal, North Korea Review, suggests that about 40-50% of the people in the area bordering North Korea and China are addicted to meth. People in the north of the country have apparently started cooking their own meth to feed their addiction. The idea of state-produced drugs turned on its own people to keep them docile, or otherwise benumbed to the pain, hunger, and suffering brought about by dismal living conditions from a dysfunctional economy is strikingly similar to Aldous Huxley’s ‘soma’ in his novel Brave New World. 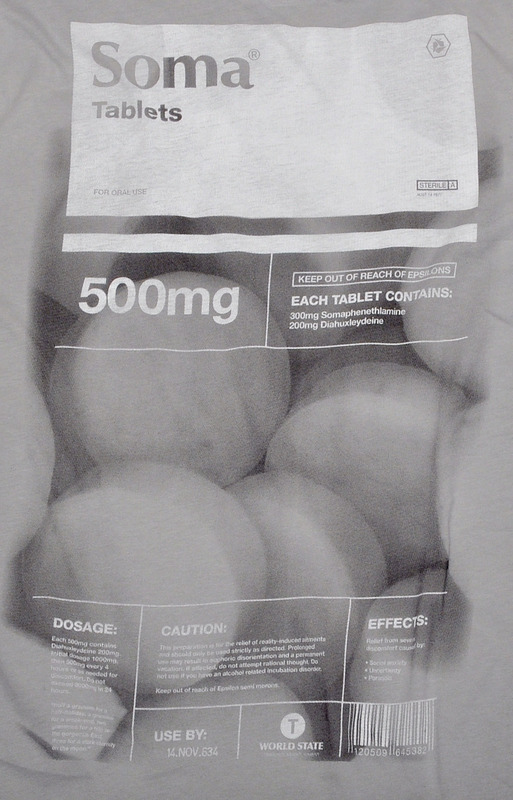 Like in Huxley’s London, meth abusers in North Korea see their drug as non-lethal — merely recreational, even medicinal. However, while people in Huxley’s London consume soma on a daily basis with no side effects, other than a strict addiction, Kim Jong Un’s North Korea cannot continue to see sustained use of meth in the long term, not without repercussions.